← Special offer in place! I’ve been keeping my newsletter subscribers up-to-date on my progress and just realized I haven’t kept you, my wonderful random audience, up-to-date as well! Sorry about that! As I begin to rebuild my life after the loss of my dear, sweet husband, and my brain fog lifts enough to comprehend what I’m reading and learning, I have to remind myself to take baby steps and be kind to myself. I hope, in your journey with/through grief, you do this as well. Be kind to yourself. Do what you can each day, even if it’s simply getting yourself out of bed and getting something to eat. And, cry all you want. Don’t let anyone ever tell you you need to stop crying. I’ve always said, “The depth of my grief/my tears is the depth of my love.” I refuse to hold back my tears for my beloved. Business news: This last week I’ve been busy. I’ve removed all but the last two of my BlogTalkRadio episodes as my channel has not really gotten any listeners for more than a year. It’s been two or three years(?) since I stopped broadcasting, so that’s not surprising. For me, though, it was also a symbolic gesture so that I can start anew. At the same time, I’ve been looking into joining a radio network specifically with a focus on spirituality, and heart-centered business/life coaching amongst other like-minded entrepreneurs. Unfortunately, my business isn’t big enough yet to afford to do so, so I may be restarting my weekly call-in show using BlogTalkRadio once again. If you’d like to be kept up-to-date, please subscribe to my weekly newsletter! (click in the right margin to do so—>) Thanks! Don’t forget, when you subscribe during the month of September 2018, you will be entered into a drawing for a chance to win a FREE 20-minute reading as a thank-you for being so patient and understanding as I grieve. P.S. If you’re new to my site, here is an interesting post I wrote in 2013 about dual readings. What is a Dual Reading, you ask? Click to find out! It’s quite fascinating and a lot of fun when this happens! Enjoy! 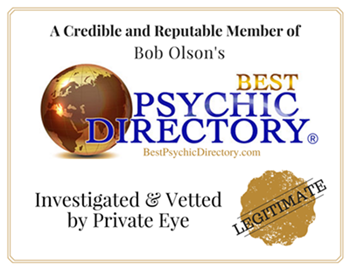 This entry was posted in mediumship, News, spirituality and tagged BlogTalkRadio, dual reading, grief, intuition, love, mediumship, radio show, readings. Bookmark the permalink.